in this relatively calm and still almost genteel lull before the general election storm. I read this passage in the very small hours of last night and it cast a graceful, unexpected glow on the events taking place right now. It behooves us to keep a close eye on this process of Americanness. My grandparents were slaves. See how short a time it’s bee? I grew up reading Twain and then, after all those Aunt Jemima roles, those Stepin Fetchit roles, roles with their own subtleties, here comes this voice from Mississippi, William Faulkner. It just goes to show you that you can’t be southern without being black, and you can’te be a black southerner without being white. Think of LBJ. Think of Hugo Black. There are a lot of subtleties based on race that we will ourselves not to perceive, but at our peril. The truth is that the quality of Americanness, that thing the kids invariable give voice to, will always come out.” (Italics in the original). That’s Ralph Ellison speaking after a a fine supper on the occasion of his eightieth birthday, March 1, 1994. Among those who raised their glasses to him was New Yorker writer and editor David Remnick, from whose essay “Visible Man” this quote was taken. You can find the whole piece in The Devil Problem and Other True Stories. For those reading this with an interest in the form horrible named “creative” non fiction (what? so the rest’s chopped liver?) this book, a collection of profile from the early and middle ’90s, is a fine case book. To my mind, the real secret of learning to write is learning to read with a professional’s eye, not a civilian’s — especially the stuff that made you want to be a writer in the first place . Remnick’s work is a fine place to start. 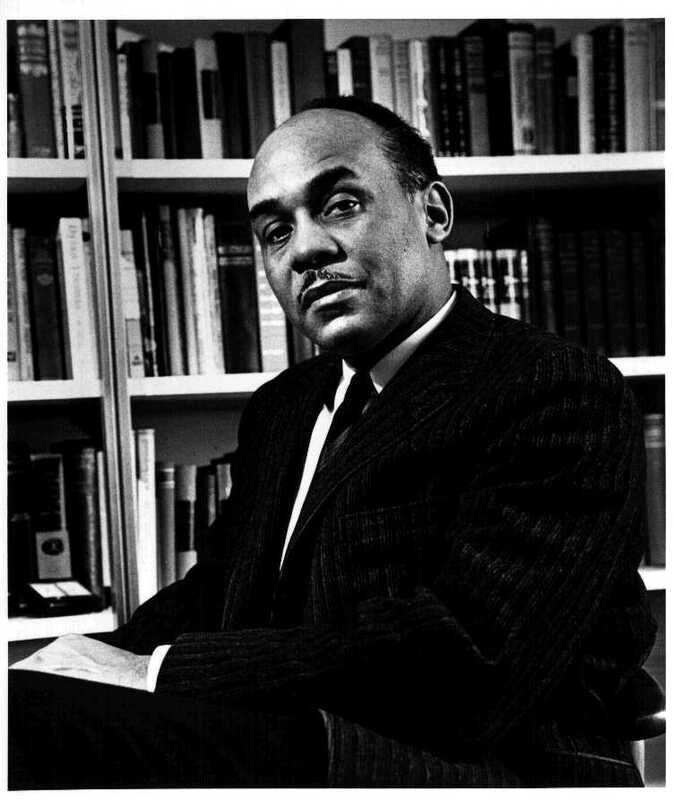 Image: Ralph Ellison in 1961, taken by an unknown photographer. Library of Congress, courtesy of the National Archives. Source: Wikimedia Commons.